.hbThe highly trustworthy and independent Moscow reporter John Helmer recently reported that a putsch or coup by the Russian Orthodox Church supported by the Russian President Vladimir Putin has terrified Russia’s constitutional lawyers so that none have been willing to respond to his questions about whether this is at all consistent with the Russian Constitution. 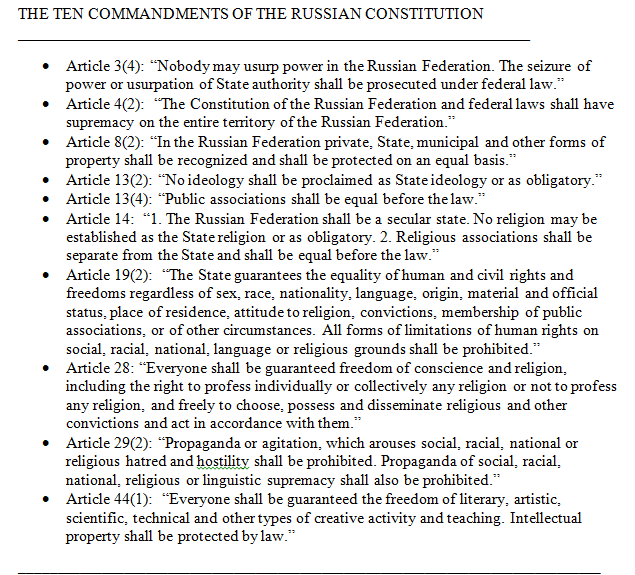 The full text of Helmer’s ominous full report follows here: http://johnhelmer.net/putin-promotes-patriarchs-putsch/. 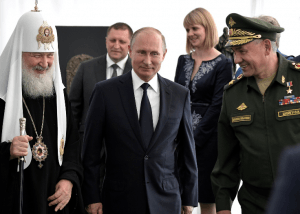 In the Church version of the speech, Kirill set out in detail his plan for the Church, having defeated the Roman Empire and its successors in Europe, as the new political force to defeat its contemporary enemies. Read the original here: http://www.patriarchia.ru/db/text/5364415.html. Kirill was responding to Putin’s opening speech (http://en.kremlin.ru/events/president/news/59757). 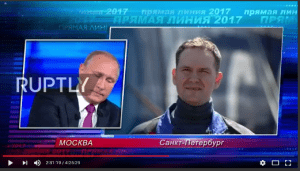 Putin was emphatic in his personal endorsement of Kirill’s 10-year rule, despite widespread reporting in the press of the corruption of the Church’s banks and financial affairs (click to read more http://johnhelmer.net/the-wages-of-sin-er-wages-for-sin-patriarch-kirill-presents-state-duma-with-initial-prayer-offering-ipo/) and of voter opposition to the transfer (http://johnhelmer.net/church-gets-last-laugh-and-takes-st-isaacs-in-st-petersburg-plus-the-money/) of state property to the Church. Putin took no note of public criticism of his own role which surfaced in an unguarded question from a shipyard worker in St. Petersburg during the president’s Direct Line (http://johnhelmer.net/president-putins-homily-on-atheism-politics-and-property/) television broadcast in June 2017. 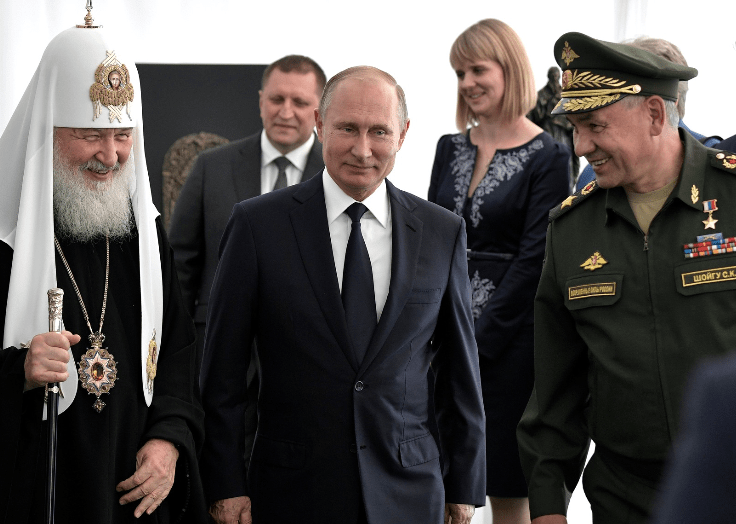 September 19, 2018: Patriarch, President, and Defence Minister Sergei Shoigu at the consecration ceremony (http://en.kremlin.ru/catalog/persons/445/events/58595/photos/55583) for the foundation stone of the main church of the Armed Forces at Patriot Park, a new military theme park (https://en.wikipedia.org/wiki/Patriot_Park) at Kubinka. 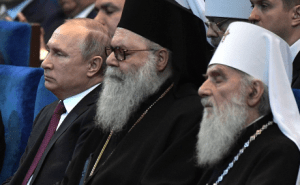 Putin also condemned political interference in church affairs; he was speaking of the autocephaly controversy in the Ukraine. 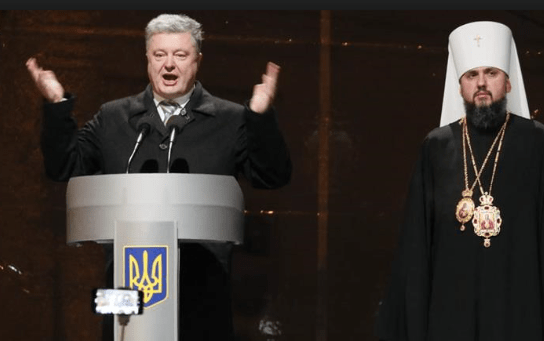 For details, read this: http://johnhelmer.net/the-autocephaly-controversy-between-backing-the-church-and-violating-the-constitution-what-does-the-kremlin-think-its-doing/. According to Putin, “unfortunately, we can see other examples as well where speculation, politicking and parasitism on matters of religious life have led to disunity among people and provoked anger and intolerance. 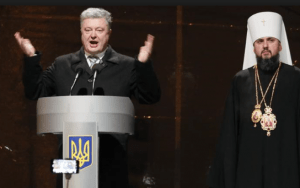 Precisely such a project that is unrelated to faith and is false through and through, focusing on the struggle for power, is unfolding in Ukraine. Regrettably, the Patriarchate of Constantinople got dragged into it. In fact, we are witnessing flagrant interference in church life. Its initiators seem to have taken after the godless people of the previous century, who expelled believers from churches and attacked and persecuted the clergy. To reiterate, the state, the Russian authorities consider any interference in church affairs to be absolutely intolerable. We have and will always have respect for the independence of church life, all the more so in a neighbouring sovereign country. Nevertheless, we reserve the right to respond and do our best to protect human rights, including freedom of religion. 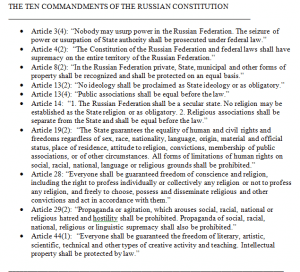 An informal poll of constitutional law experts in Moscow has identified  ten articles in the Russian Constitution which the lawyers believe subordinate the Church to the state, subject its property to the civil law, and disallow exceptional privileges for church doctrines over the rights of individuals to disbelieve or ignore them. Left to right: Senator Yelena Mizulina, deputy chairman of the Federation Council’s committee on constitutional legislation; Deputy Vladimir Pligin, chairman of the State Duma committee on constitutional legislation; and Alexander Yushchenko, spokesman for the Communist Party of the Russian Federation in the State Duma. For more reporting on Mizulina’s record in parliament, read this (http://johnhelmer.net/?s=mizulina).